This a tree fern that copes with little more warmth than some others, however Cyathea cooperi is at its best in light shade. Growing naturally in shaded moist positions near streams, it is widely found in the coastal foothills of New South Wales and Queensland. It is not frost tolerant so a sheltered position will be essential in colder climates. This is an excellent plant to grow in a shaded courtyard, between buildings or under larger trees near the drip line where it gets good moisture and afternoon shade. The growth rate will be determined by climate and moisture, in warm moist climates it can be fast, the cooler the climate, the slower the growth rate. Best grown in light shade in a moist well drained soil. In any area that does not have natural moisture during summer, some form of watering will be required. A drip irrigation, or weeper hose are good solutions. Propagation is only from spores as Cyathea cooperi does not produce offsets. 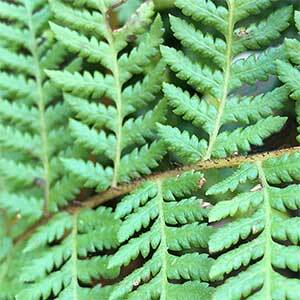 Unlike the Soft Tree Fern, it can not be cut and regrown, it needs to transplanted with the root system in yact. Removal of old fronds can improve appearance. Height – To around 10 metres for advanced specimens. Spread – To around 6 – 8 metres.